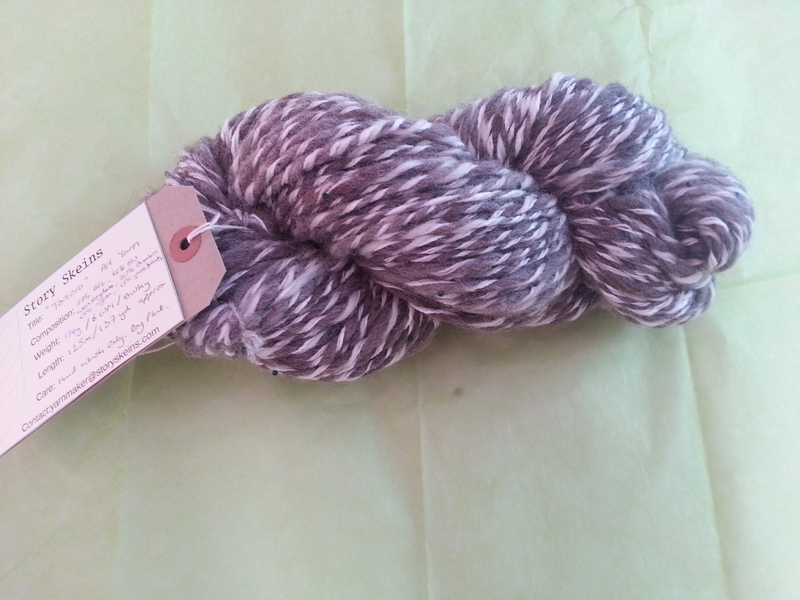 A first foray into art yarn, with deliberately chunky spinning and beads spun into the yarn. Based on the Totoro character, with natural coloured fibres and forest-green glass beads. When we forget to see. Length: 125m / 137yd approx.